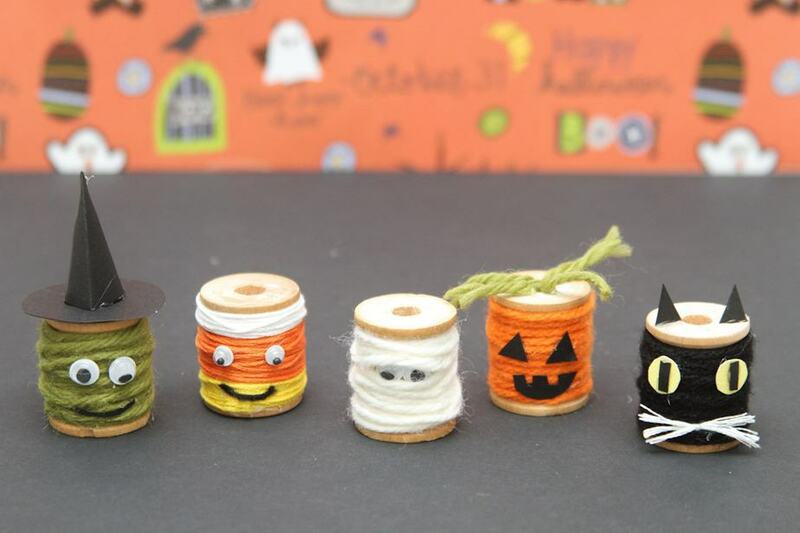 How incredibly ADORABLE is this Halloween Craft for kids made out of old sewing spools? Seriously I’m just in LOVE! 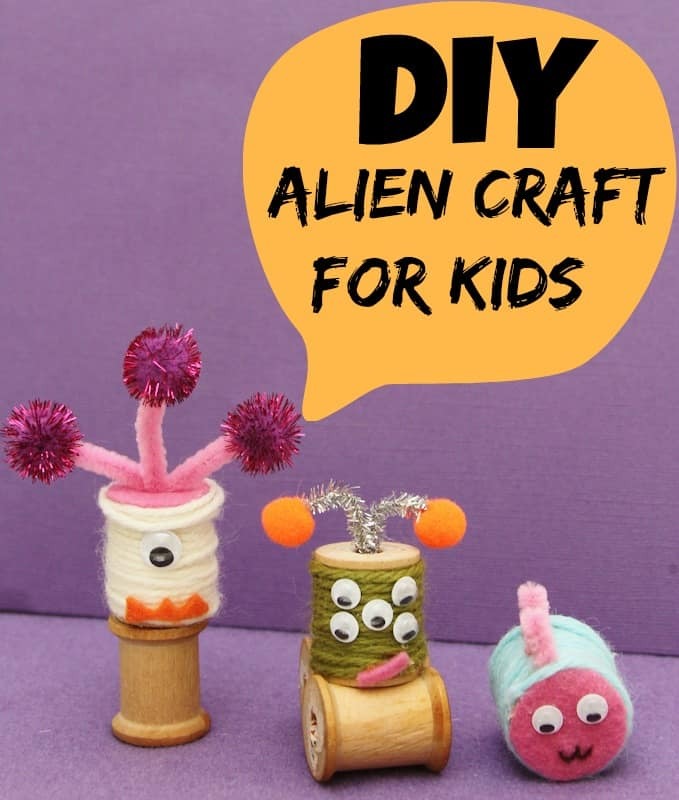 And they are SO easy for both kids and adults to make! (not to mention inexpensive!) 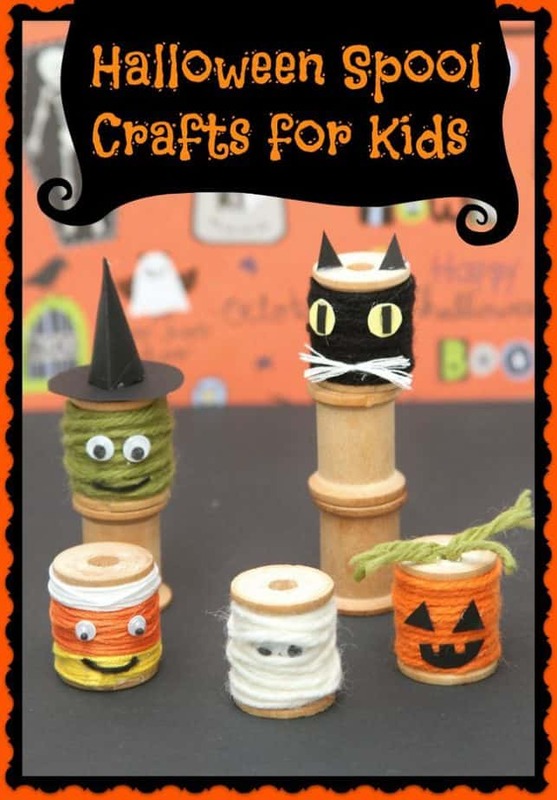 Below I’ve got directions and photos to make each of the Halloween spools you see above! 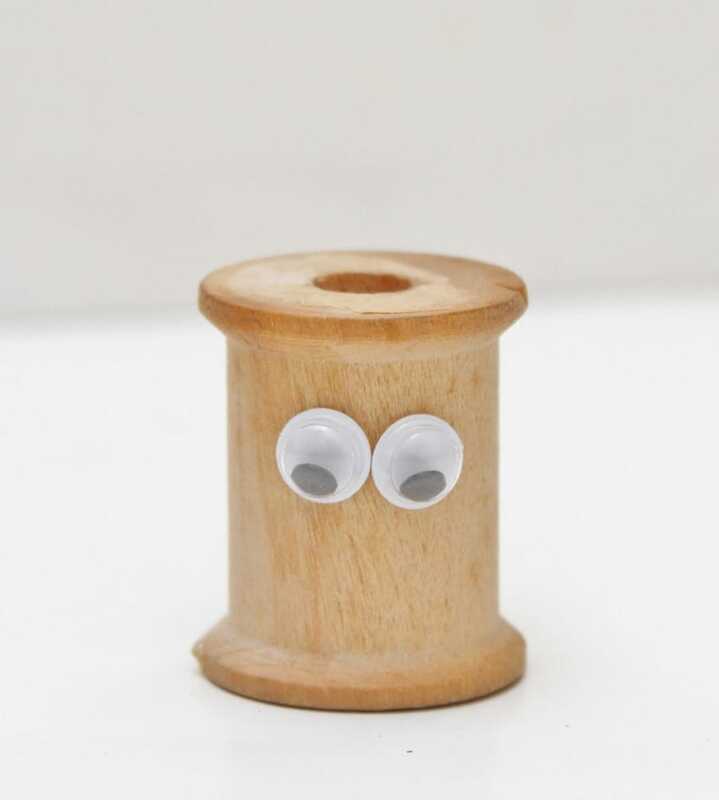 Step 1: Glue two small googly eyes to the center of the wooden spool. Step 2: Glue the end of the white yarn to the bottom of the wooden spool. 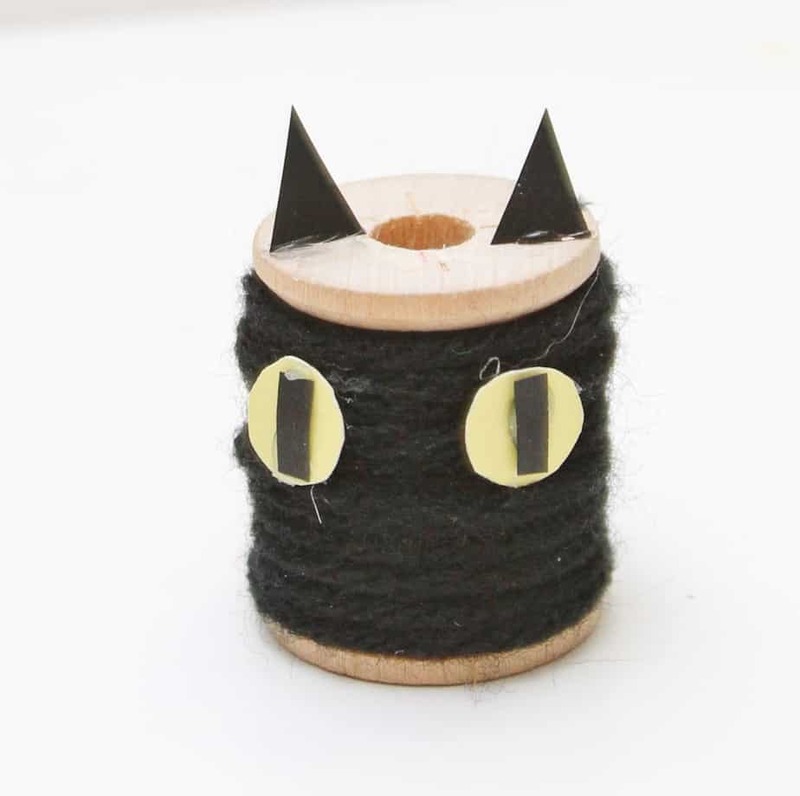 Wrap yarn around spool until the spool is completely covered. When the spool is completely covered cut the yarn and attach to spool with a small drop of hot glue. 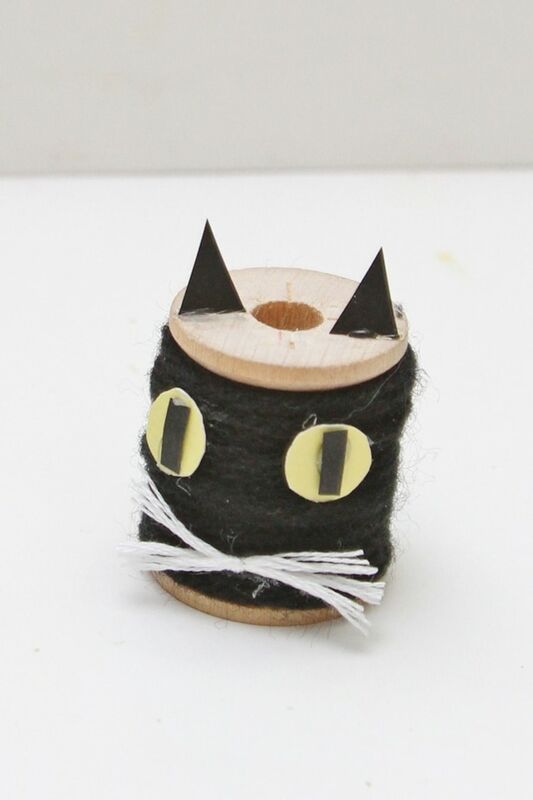 Step 1: Glue the end of the black yarn to the bottom of the wooden spool. 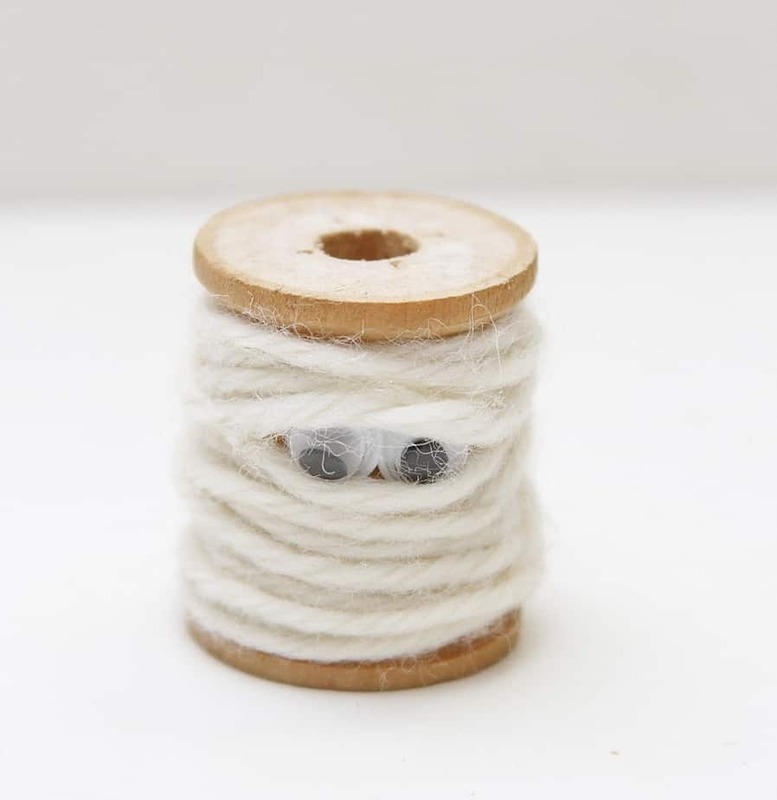 Wrap yarn around spool until it is completely covered. When the spool is completely covered cut the yarn and attach to spool with a small drop of hot glue. Step 3: Cut out different two yellow circles and two black slits for the eyes. Step 4: Make whiskers by tying together 2 pieces of embroidery floss and trim to the size you like, and glue on. Step 1: Glue the end of the green yarn to the wooden spool. 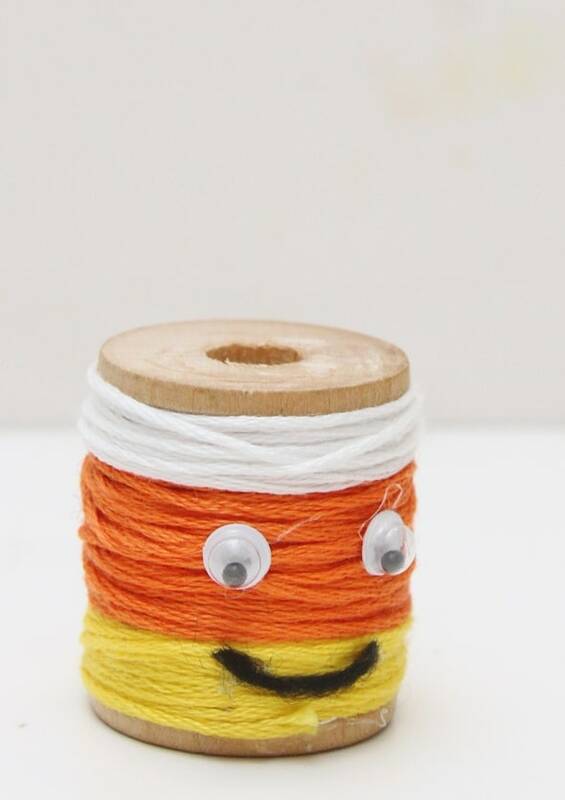 Wrap yarn around spool until it is completely covered. 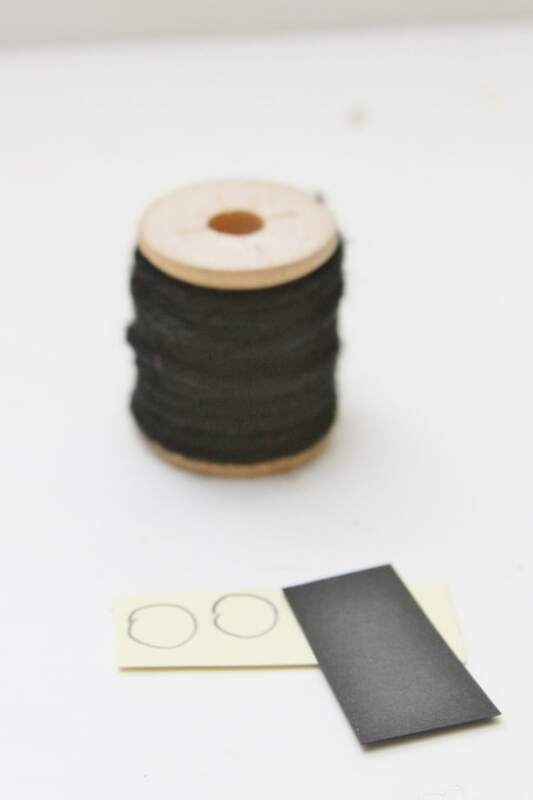 When the spool is completely covered cut the yarn and attach to spool with a small drop of hot glue. Step 2: Glue on two small googly eyes. Cut a small piece of black yarn for the mouth. 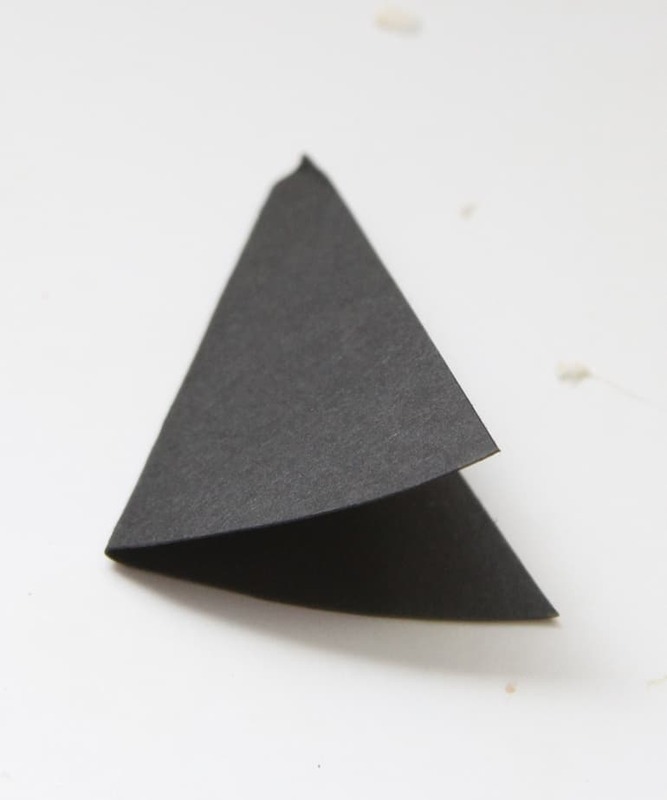 Step 3: Make the witch hat out of black paper. There is a good photo tutorial here if you need help. 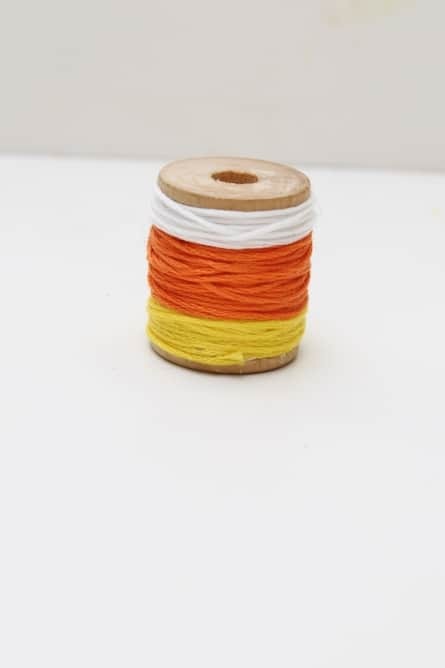 Step 1: Start at the top of the spool with the white yarn, wrap it around a couple times, next do the same thing with the orange yarn and finally with the yellow yarn creating a candy corn look. 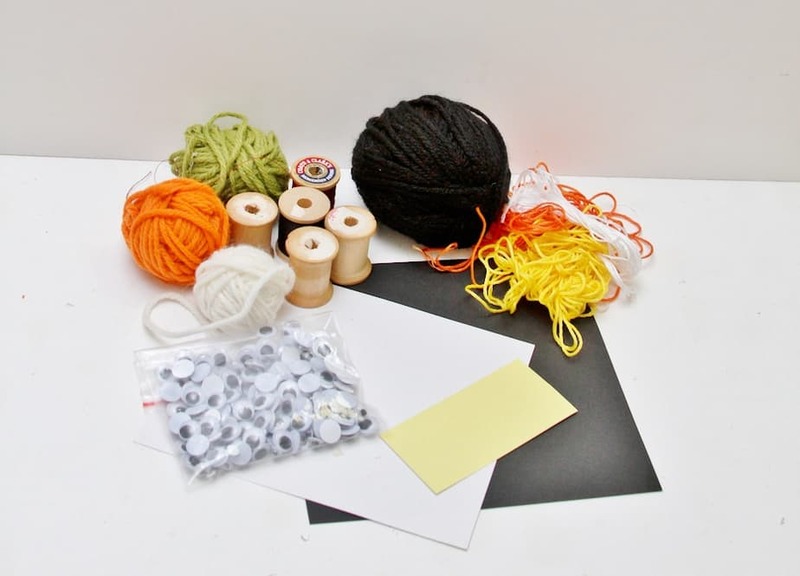 Step 2: Glue on two googly eyes and cut out a small piece of black yarn for the mouth and glue it on. 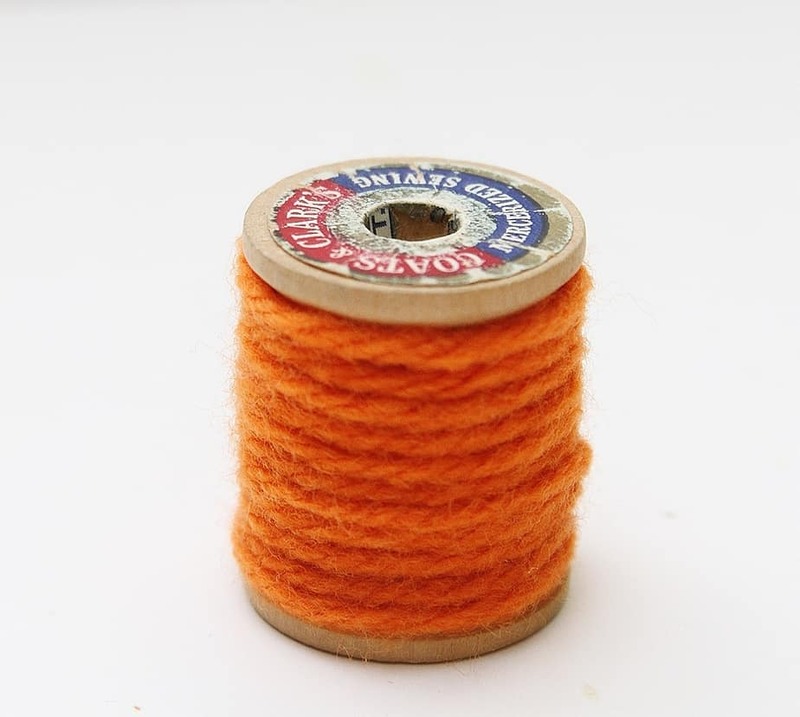 Step 1: Glue the end of the orange yarn to the wooden spool. 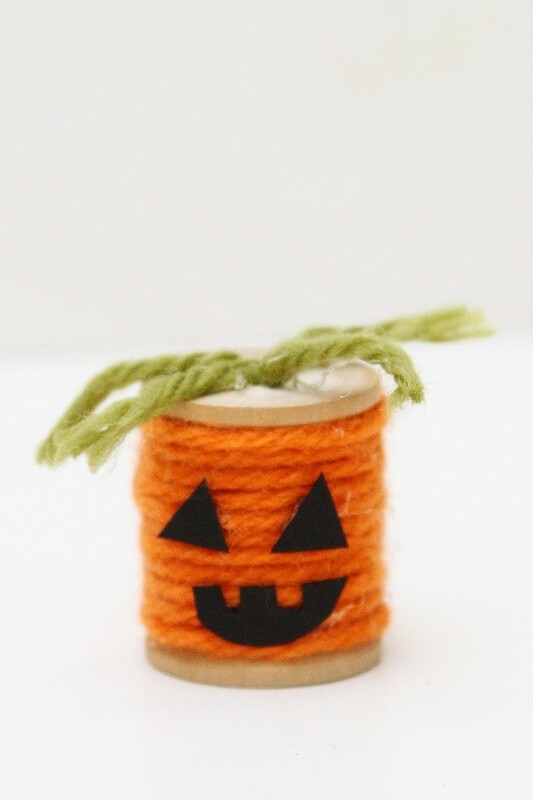 Wrap yarn around spool until it is completely covered. When the spool is completely covered cut the yarn and attach to spool with a small drop of hot glue. 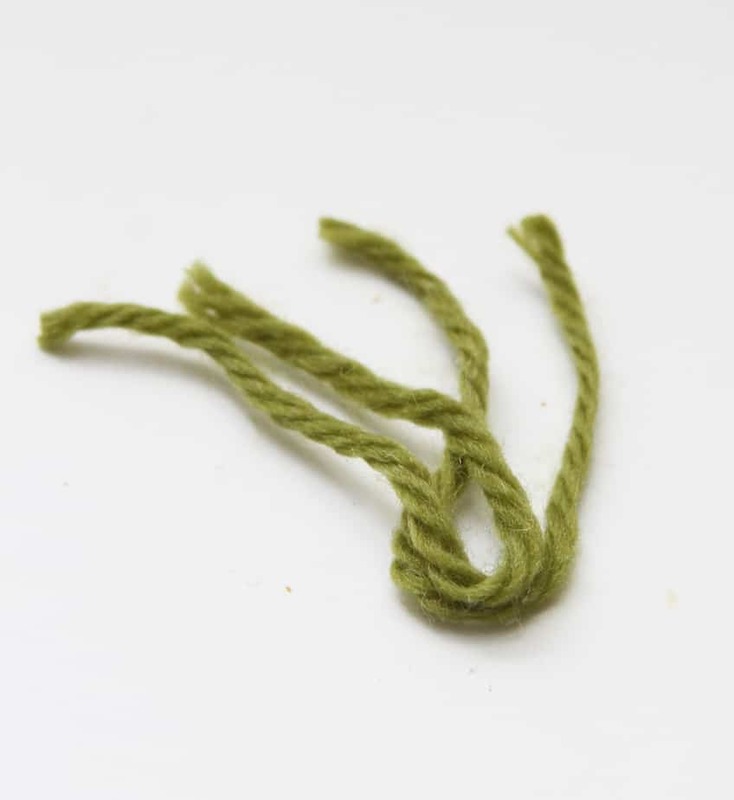 Step 2: Cut two medium pieces of green yarn, fold them in half and glue the folded edge to the inside of the spool leaving the cut edges to form the stem. And there you have it! 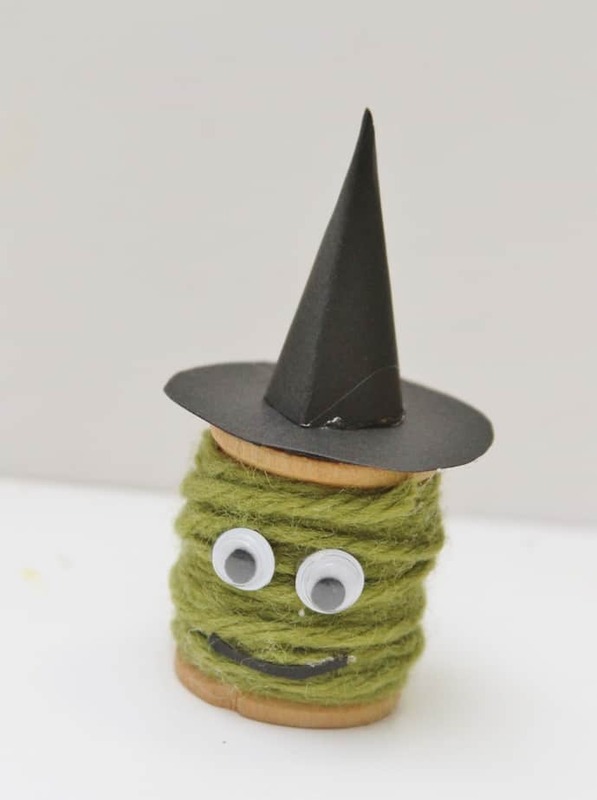 Some incredibly adorable kid’s spool Halloween crafts!! 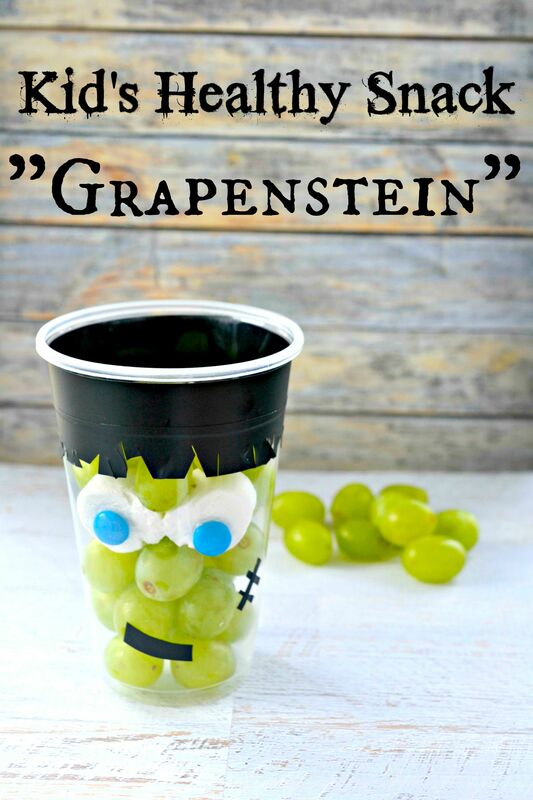 I want to make Frankenstein too so he’s going to be next! 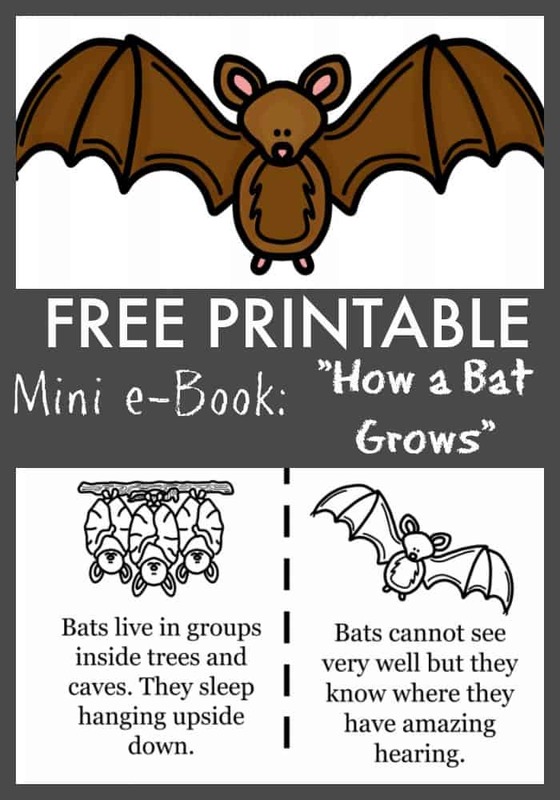 PLEASE feel free to pin it and share it everywhere with your friends!